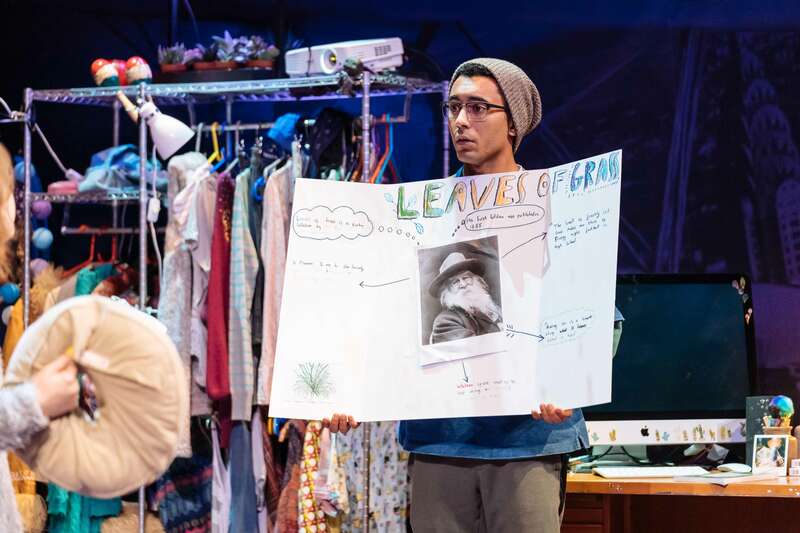 A good gateway for phone-addicted teenagers to get introduced to theatre. 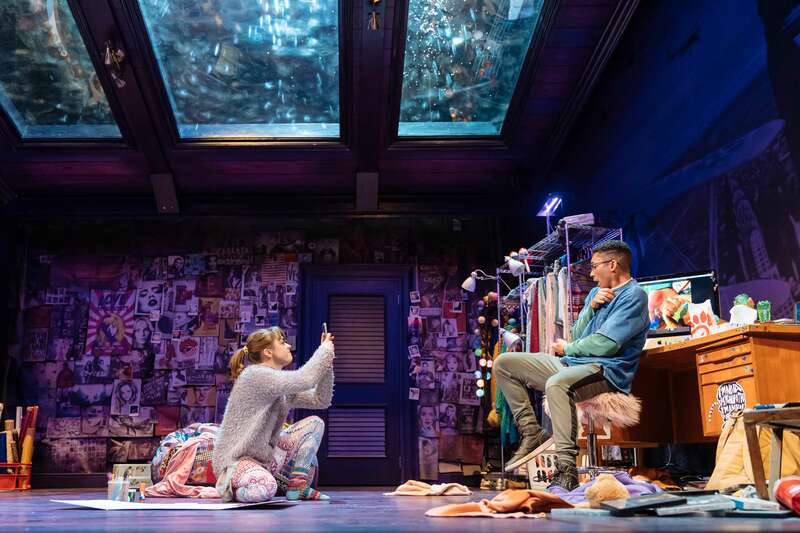 LONDON – As technology develops, so does theatre, and Hampstead Theatre made the unprecedented move to make theatre increasingly accessible to the public by putting up the sold out production of Lauren Gunderson’s I and You on IGTV for 72 hours last weekend. 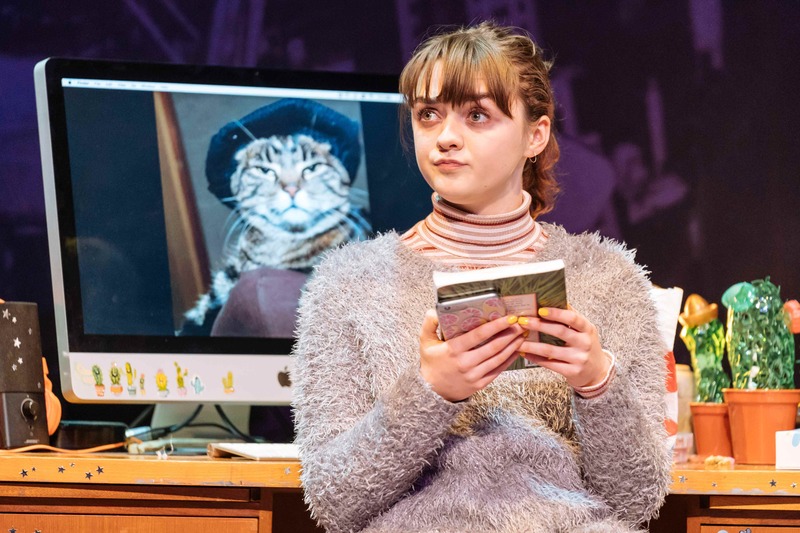 Directed by Hampstead Theatre artistic director Edward Hall, I and You stars Game of Thrones’ Maisie Williams as Caroline in her stage debut. Housebound by a lifelong illness, Caroline receives a surprise guest in the form of fellow classmate Anthony (Zach Wyatt) one night, as he rushes in, armed with waffles fries and a battered copy of Walt Whitman’s poetry, to ask for assistance on a school project due the next day. Gunderson’s storyline is simple, yet it’s surprising how much nuance she manages to tease out from the poetry of Walt Whitman. It’s no surprise why her plays are so often produced in America; both Caroline and Anthony are familiar characters one might have encountered in school, or the schoolgoing crowd might recognize in themselves, and Caroline in particular makes for a good introduction to the world of poetry analysis and Walt Whitman as she discovers the surprising meanings and parallels to her own life from his words. 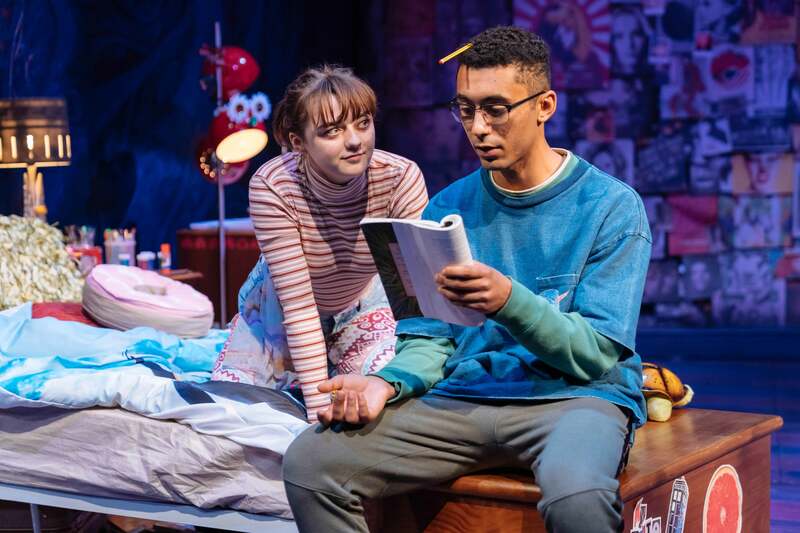 Gunderson’s script is also incredibly witty, and proves itself to be wonderfully poetic and readily uses the culture of selfies, Twitter and cat obsessions, coupled with sharp, quotable comebacks such as ‘philosophically, I’m agnostic on glitter’ or ‘this isn’t me helping, it’s triage’. These lines are delivered caustic by Williams, who is the epitome of the bristly American teenager, nailing the accent and emotions in her performance, and bringing out her character quirks (a love for Elvis Presley) naturally, revealing a keen vulnerability to her character as the play goes on and she sheds her ice queen personality, the contrast making for prime drama.Meanwhile, Zach Wyatt gets his character as good boy Anthony, down well, awkward, likeable and real. 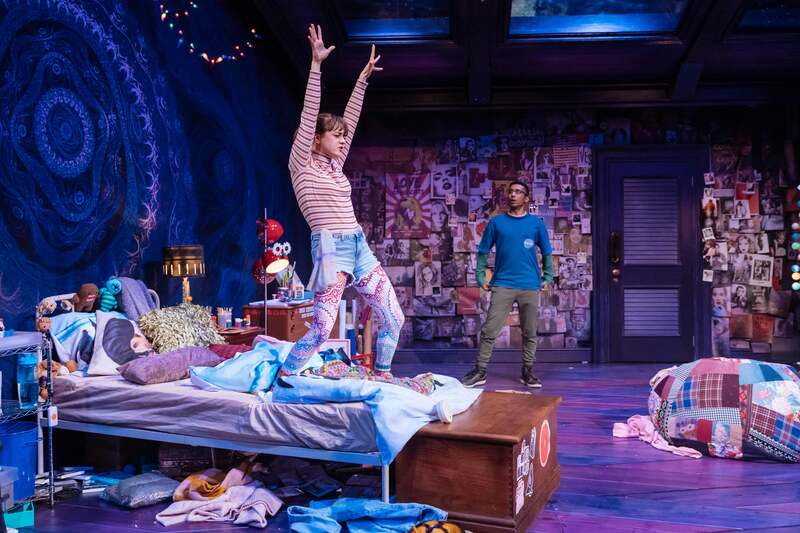 Michael Pavelka’s set is simultaneously familiar yet epic, a darkened room filled with teenage paraphernalia, from a messy bed, a wall adorned with posters and surprisingly, a beautiful skylight through which one can see the stars. A single set change towards the end of the play is also cleverly done, epic in scale and vision and smoothly done that appropriately brings out the play’s climax. Gunderson’s script, as clever as it is, does begin to drag about an hour into the play, with the back and forth tugging of will-they-won’t-they growing thin. But what keeps us going and locked on to the simple performance is the gradual escalation of Caroline’s illness, as the stakes do eventually get raised, and the play once again gets exciting once it dares to tread darker territory such as death and divorce, with Walt Whitman, jazz music acting as a layered, nuanced means of tackling such heavy topics about life. The crux of I and You is most powerfully felt in the play’s twist ending, which, although somewhat hackneyed, still delivers on emotion through sheer theatrical spectacle and the strong characterisation Gunderson spends the last ninety minutes establishing through her writing of Caroline and Anthony. 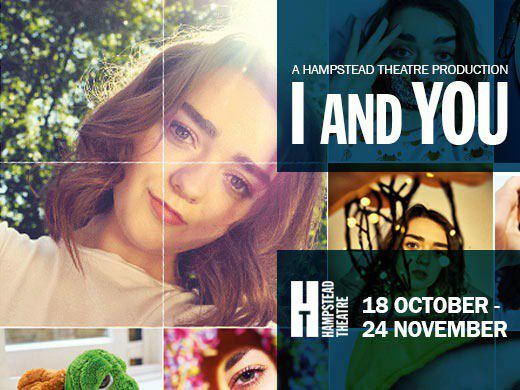 I and You is a highly accessible play that hinges on good, relatable performances from its two leads that makes it the perfect introduction to the power of theatre for teenagers, a reflection on how the understanding of art makes for a way of understanding life itself, and the fundamental importance of human connection in making life worth living.